This flavorful meatloaf is made with ground beef and chopped mild green chile peppers, along with other southwest-style ingredients. 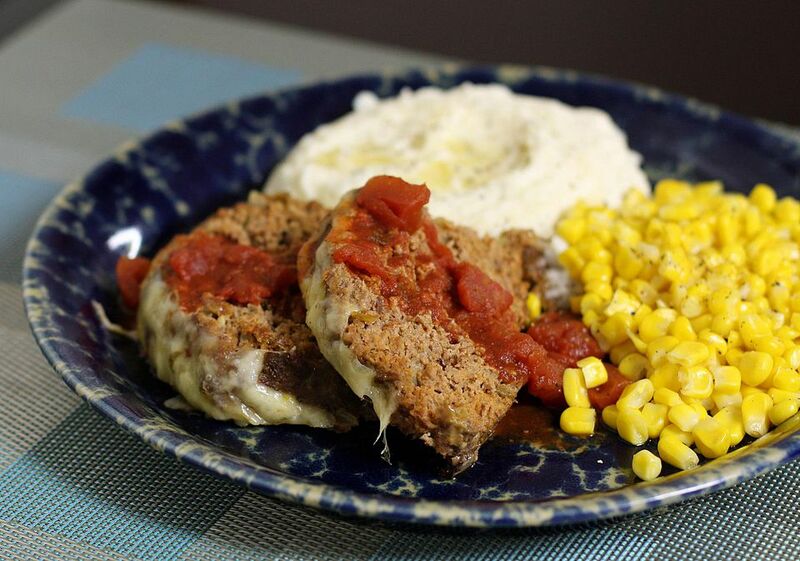 Pepper Jack cheese tops off this tasty meatloaf. Preheat the oven to 350 F. Lightly oil a 13x9x2-inch baking pan. In a large bowl, combine the beef, pork, bread crumbs, onion, egg, salt, pepper, chili powder, chopped cilantro, chile peppers, and about half of the tomatoes; reserve the remaining tomatoes for later. Shape the mixture into a loaf and place on the prepared baking pan. Bake the meatloaf for 1 hour and 15 minutes. Top with the sliced cheese and continue baking just until cheese is melted, about 2 to 4 minutes. Heat the remaining tomatoes and serve sliced meatloaf with a spoonful or two of the tomatoes.